Your Inspector Guy Home Inspection. Most buyer’s and seller’s need this inspection. Read about it here. New Construction Home Inspection. Even new homes need a comprehensive home inspection. In fact it is the best time for a comprehensive home inspection. See FAQs. Builder’s Warranty Inspection. Let us help you make sure your home is performing prior to the end of your builder’s warranty. See FAQs. Remodeling/Renovation Inspection. We can help make sure you get what you paid for. See FAQs. Wind Mitigation insurance inspection. Read about Wind Mitigation inspections. Four Point insurance inspection. Read about Four Point inspections. Roof Certification insurance inspection. A roof certification inspection is usually done as part of the Four Point inspection above. Contact us if your insurance company requires a roof certification inspection. Wood Destroying Organism (Termite) inspection. Your mortgage company may require this inspection – regardless, it’s a good idea to have one completed. 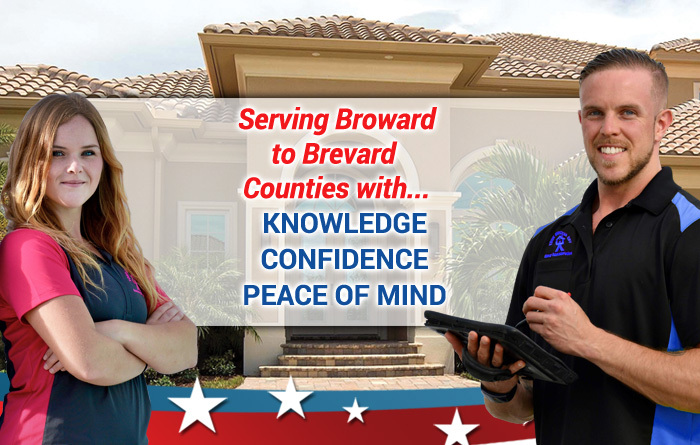 This inspection requires certification and qualification in accordance with the standards set by the State of Florida, which can only be met by licensed pest control operators. We are happy to work with Price Termite and Pest Control to provide this service. Organic Growth (Mold) inspection. If you are concerned about mold my best advice is to obtain as much education from accredited sources as possible. A good starting place is the Environmental Protection Agency’s Guide to Mold, Moisture, and Your Home. After much consideration I have decided not to exercise my mold assessor’s license in my home inspection business as I believe viable and meaningful test results cannot be obtained at the same time as a home inspection. If you think you need a mold inspection I recommend contacting a professional mold inspector that concentrates on mold inspections only. Septic System inspection. The Your Inspector Guy home inspection includes a basic review of the installation and performance of the system. Honestly, there is not a lot we, or anyone can say about the current or future performance of a residential septic system. The good news is that in spite of all the horror stories, they usually perform pretty well. You can spend a lot of money in an attempt to reduce the risk of septic tank ownership. Education is the key, a good starting place is the Environmental Protection Agency’s A Homeowner’s Guide to Septic Systems. Most septic system problems can be detected through long term use. Obtain as much use, servicing, maintenance and repair history as possible. If a servicing history has been established then continue with the servicing schedule. It not, start your own schedule either during your inspection period or soon after you take title on the property. Water Quality tests. Most municipal water utility rigorously monitor and public water quality test results. Some will provide a point of use water quality test in your home. Contact your municipality for more information about your water supply system. Treatment or conditioning systems are usually installed with well systems. The key is to make sure the treatment system is working correctly by having it reviewed by a reputable treatment installation company. Obtain as much servicing, maintenance and repair history as possible to help determine the need for water quality tests. A several day lead time is required for us to conduct water quality tests. Contact the office to discuss your requirements. Seawall/Dock inspection. Your Inspector Guy can provide a basic, above water visual review of these installation. Keep in mind that a complete inspection requires a review of the submerged components. Contact our office to discuss your inspection requirements.